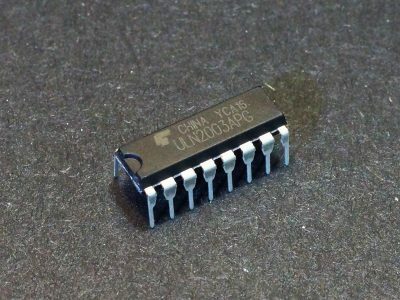 Products in this category include Integrated Circuits, Diodes, Transistors and other assorted semiconductors. 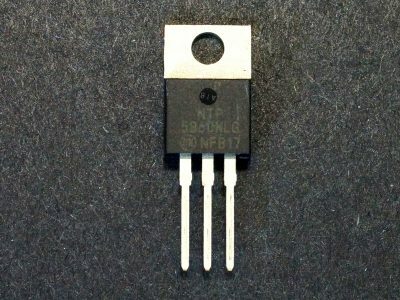 Sensor IC’s may be found in their specific category such as temperature or proximity depending on function. 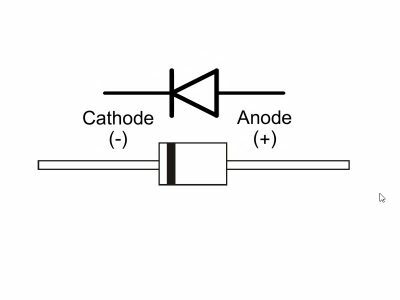 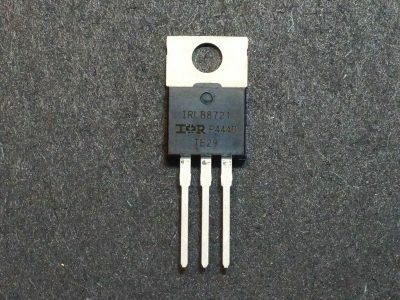 The 1N4001 rectifier diode are general purpose power diodes that can handle 50V @ 1A. 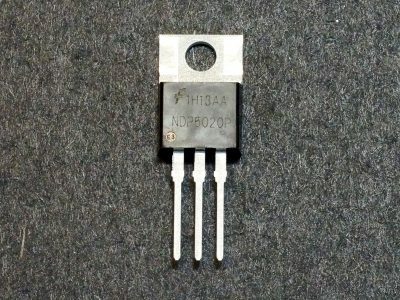 The 1N4002 rectifier diode are general purpose power diodes that can handle 100V @ 1A. 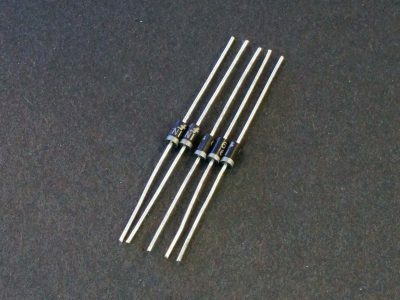 The 1N4003 rectifier diode are general purpose power diodes that can handle 200V @ 1A. 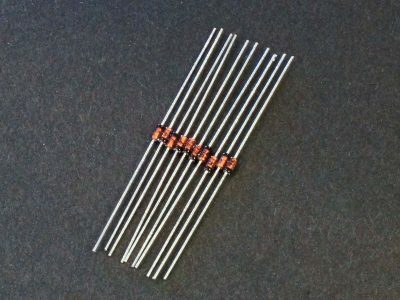 The 1N4004 rectifier diode are general purpose power diodes that can handle 400V @ 1A. 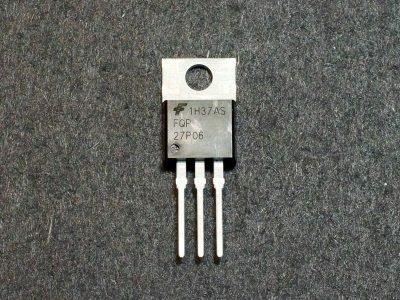 The 1N4148 small signal diodes are general purpose fast switching diodes used for small signal rectification. The 1N5819 Schottky diode can handle 40V @ 1A and have an extremely low forward voltage drop of only 0.3V and are very fast switching. 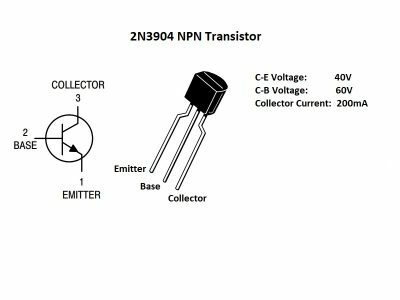 The 2N3904 are a good general purpose NPN transistor for low power amplification and switching. 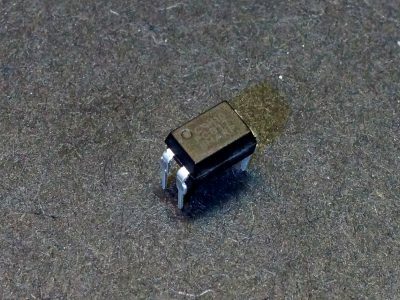 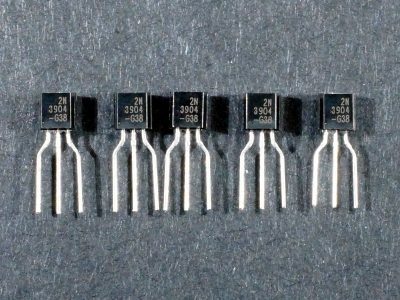 The 2N3906 are a good general purpose PNP transistor for low power amplification and switching. 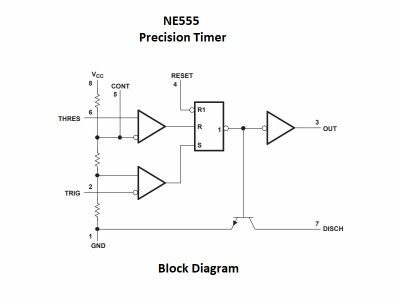 The NE555 Timer is a versatile timer/oscillator that can be used for many applications. 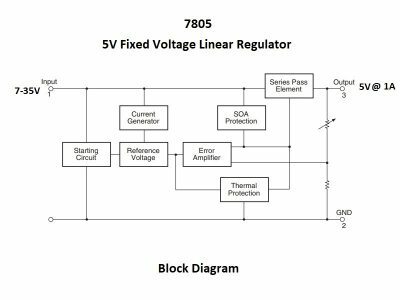 The 7805 is a fixed voltage linear regulator that can output 5V @ 1A with an input of 7 – 35V. 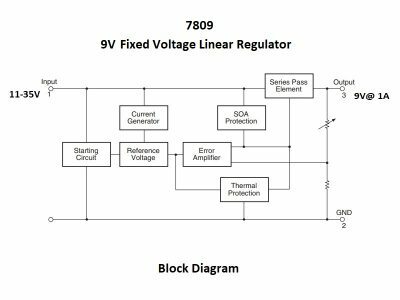 The 7809 is a fixed voltage linear regulator that can output 9V @ 1A with an input of 11-35V. 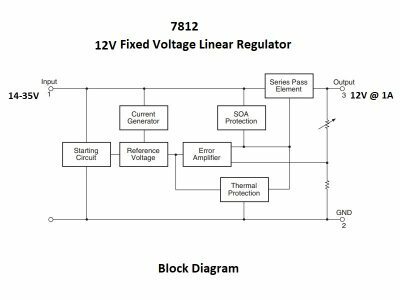 The 7805 is a fixed voltage linear regulator that can output 12V @ 1A with an input of 14 – 35V. 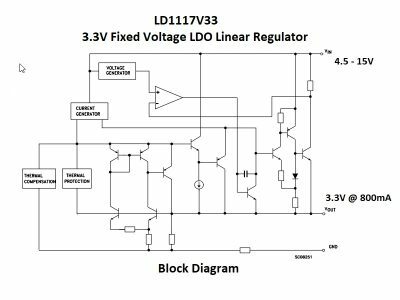 The LD1117V33 is a low drop-out linear regulator that outputs 3.3V at up to 800mA with an input of 4.5 – 15V. 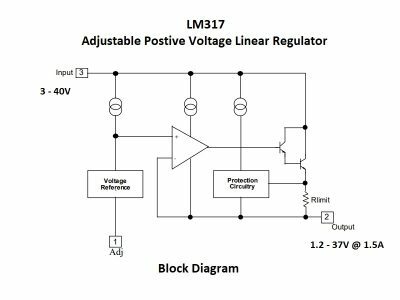 The LM317 adjustable voltage linear regulator can output 1.25 – 37V at up to 1.5A with an input of 3 – 40V. 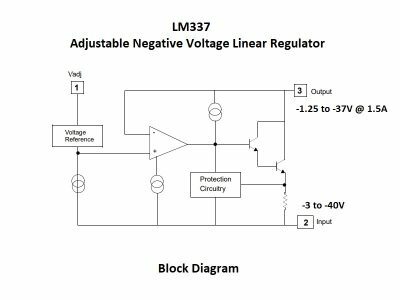 The LM337 adjustable negative voltage regulator can output -1.25 to -37V at up to 1.5A with an input of -3 to -40V. 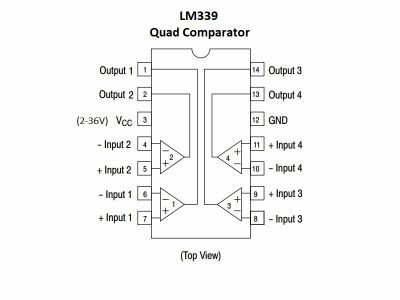 The LM339 Quad Voltage Comparator contains four independent precision voltage comparators designed to operate from a single or split supply. 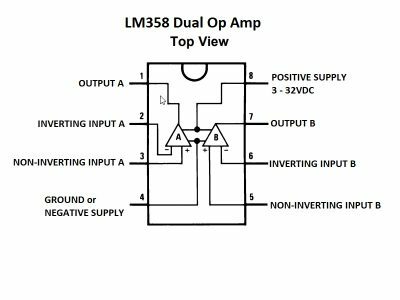 The LM358 Dual Op-Amp is a low-power dual operational amplifier designed to operate from a single power supply voltage or can use split supply. 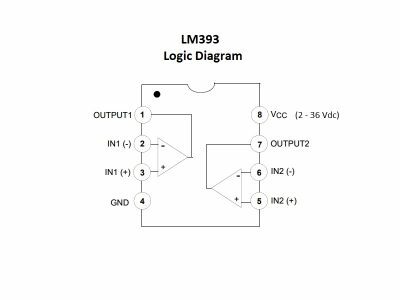 The LM393 Dual Voltage Comparator contains two independent precision voltage comparators designed to operate from a single or split supply. 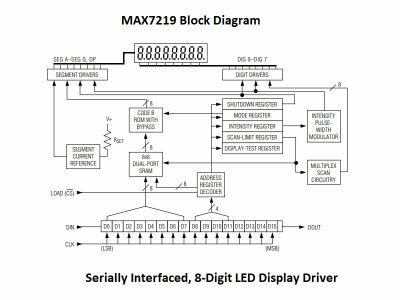 The MAX7219 LED Driver a serially interfaced common cathode LED driver that can drive up to 8 digits of 7-seg LEDs or 64 individual LEDs. 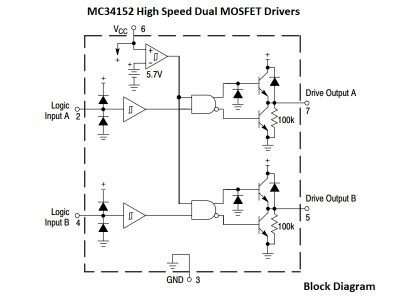 The MC34152 Dual MOSFET Driver is a non-inverting 2-channel logic compatible driver capable of sinking or sourcing up to 1.5A per output. 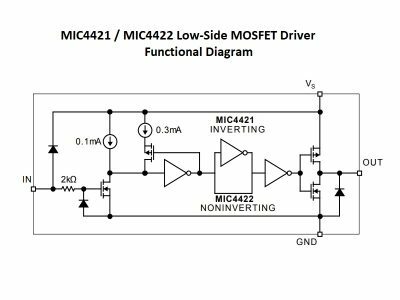 The MIC4422 MOSFET Driver is a non-inverting logic compatible driver capable of up to 9A peak and 2A continuous output. 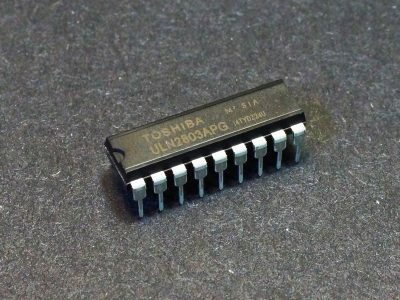 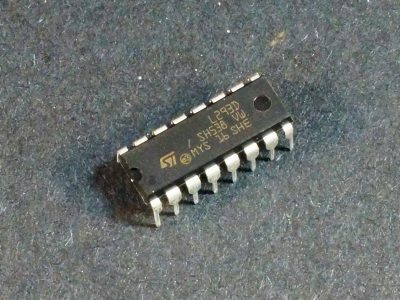 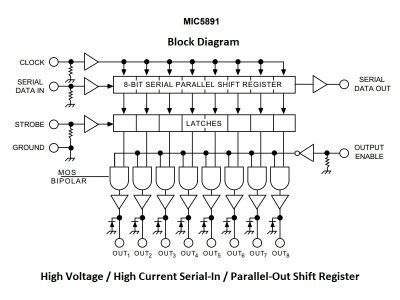 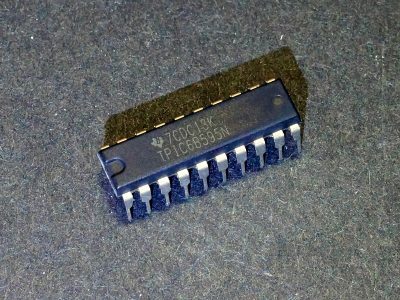 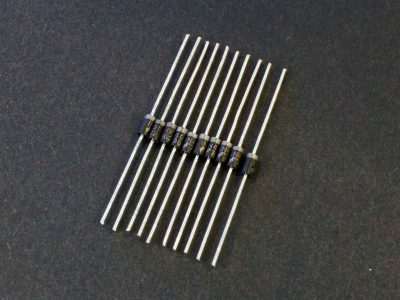 The MIC5891 is a high-side 8-Bit Shift Register useful for driving high voltage and high current common cathode 7-Segment displays and other devices. 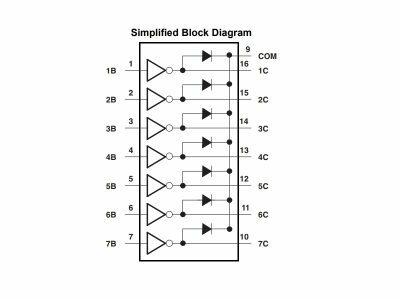 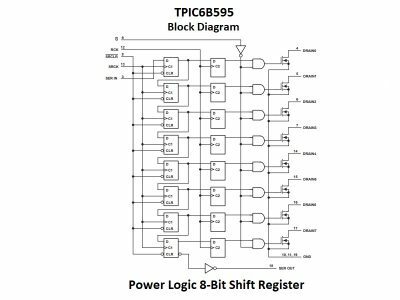 The TPIC6B595 is a low-side 8-Bit Shift Register useful for driving high voltage, medium current common anode 7-Segment displays and other devices. 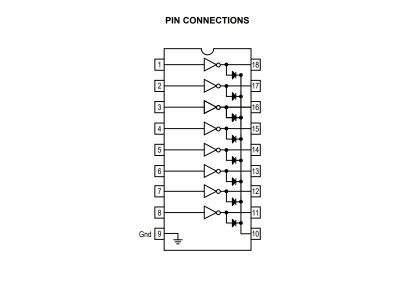 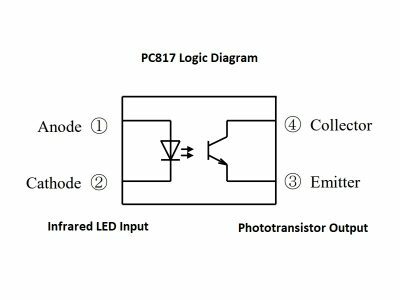 The PC817 Optocoupler is used to provide electrical isolation of a signal between 2 circuits by using an optical bridge. 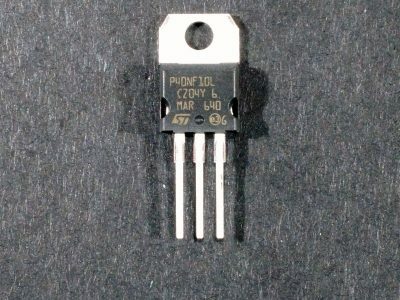 The PN2222A are a good general purpose NPN transistor for low to moderate power amplification and switching. The PN2907 are a good general purpose PNP transistor for low to moderate power amplification and switching. 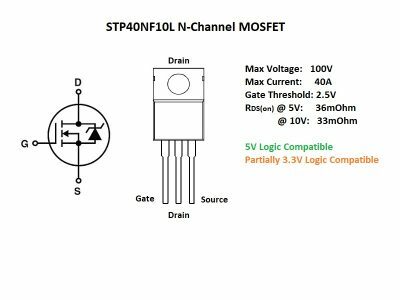 The Power MOSFET N-Channel STP40NF10L is an Enhancement Mode MOSFET that can handle up to 100V @ 40A and is logic compatible. 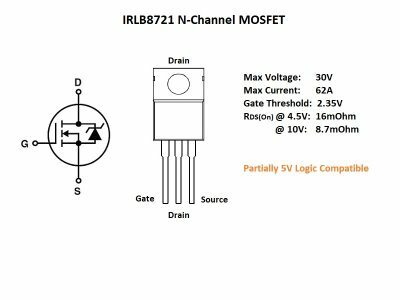 The IRLB8721 is a popular N-Channel power MOSFET which can handle up to 62A at 30V and is 5V logic compatible.. 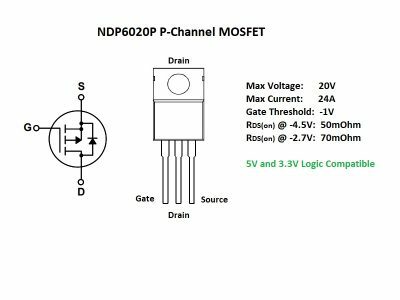 The Power MOSFET P-Channel NDP6020P can handle up to 20V @ 24A and is both 5V and 3.3V logic compatible. The Power MOSFET P-Channel FQP27P06 is an Enhancement Mode MOSFET that can handle up to 60V @ 27A. 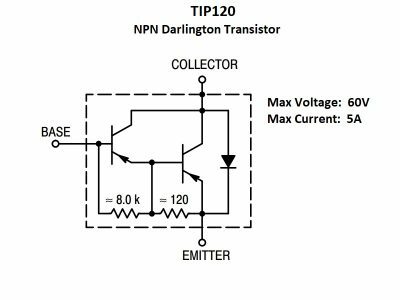 The TIP120 NPN Darlington power transistor is a medium power device that can handle up to 5A @ 60V. 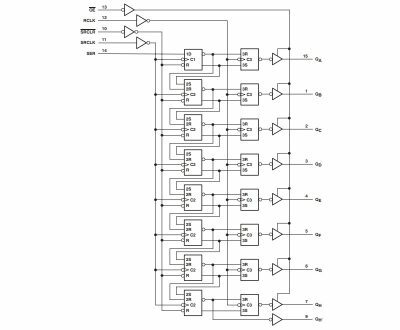 The ULN2003A 7-Channel Darlington Driver is a logic compatible NPN Darlington transistor array for driving high current / high voltage loads. 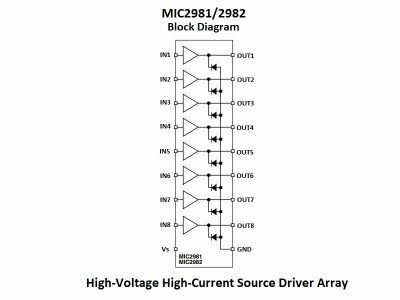 The MIC2981/82 is an 8-Channel Darlington Driver is a logic compatible source driver for driving high current / high voltage loads. 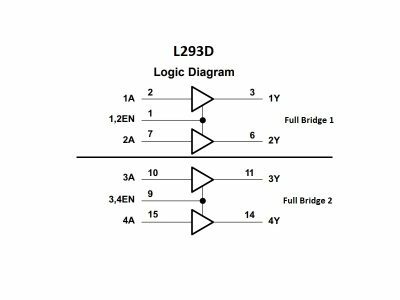 The ULN2803A 8-Channel Darlington Driver is a logic compatible NPN Darlington transistor array for driving high current / high voltage loads.